DustyDesert is bringing back glamour with these two fabulous finds! 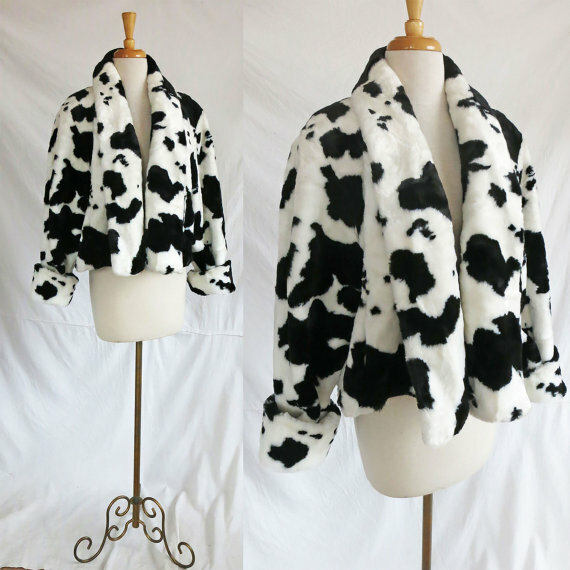 First is a Vintage Fox Run Faux Fur Jacket in white and black from the 1980’s with a large collar and up turned sleeves. Fully lined in black satin. Size Medium. Perfect evening jacket style. 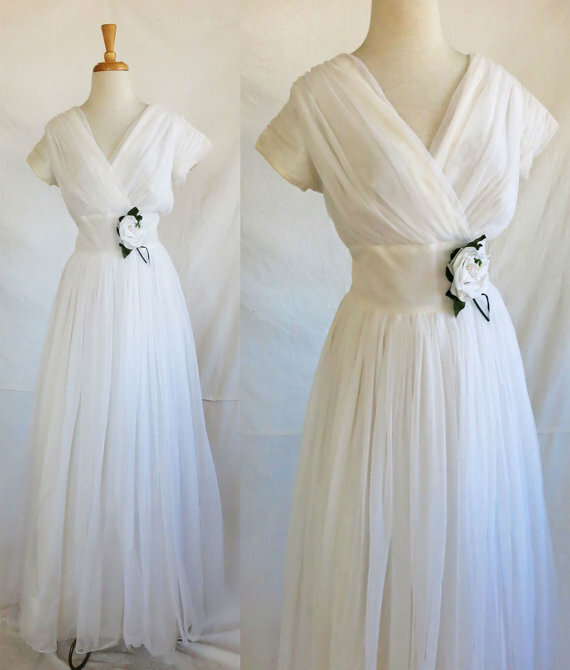 Next is a Vintage 1950’s White Formal Dress. This dress is tailor made with amazing pleads on the bodice and detailed short sleeves. It is made with beautiful semi sheer nylon fabric with a heavy white lining. The perfect vintage dress for a wedding, or simply for your wonderful vintage library of dresses.